Want to give your home a makeover by redoing your roof, improving the look and value of your home? Interested in installing a flat roof? If you wish to have Any free no obligation quote please ring RJ Roofing on 07854 007991. Roofing to suit all budgets. RJ ROOFING are now offering general building and block work. If you would like a free no obligation quote please give 07854007991 a ring or text. 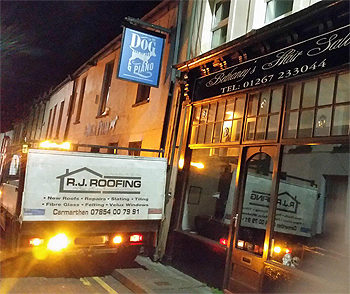 RJ Roofing Services of Carmarthen can help with all your roofing needs from simple repairs to major renovations, new builds, flat roofs, Chimneys, and Valley repairs. We offer the following types of roofing, both domestic and commercial throught Carmarthen area. Insurance works / storm damage. Extensions and much much more.